Broken or Leaking Pipes – Leaky pipes or broken water conduits and systems are probably the most obvious sources of indoor flooding. Not only can pipes spring leaks due to external damage and regular wear and tear, they can also burst because of changes in environmental conditions and water pressure. Failure to detect leaks and damages in your plumbing system can lead to your property filling up with water within minutes, in case of a pipe explosion or a major leak. Clogged Sewer and/or Drains – Clogged drain lines and sewers can disrupt the continuous flow of water to and from your home. Although some clogs may be benign and may only slow your drain, they can develop into more serious blockage, which can end up causing your showers, toilets, and/or sinks to overflow, further resulting into indoor flooding and huge water damage in Ottawa. Water Heater Leaks – Flooding disasters in Ottawa may also stem from faulty or leaky water heaters, which, when left unattended could cause serious flooding because of the endless flow of water. Ceiling Damage – Damaged ceilings or roofing can likewise cause rainwater to come straight into the house, destroying the rest of your roofing system and damaging your floors and walls. 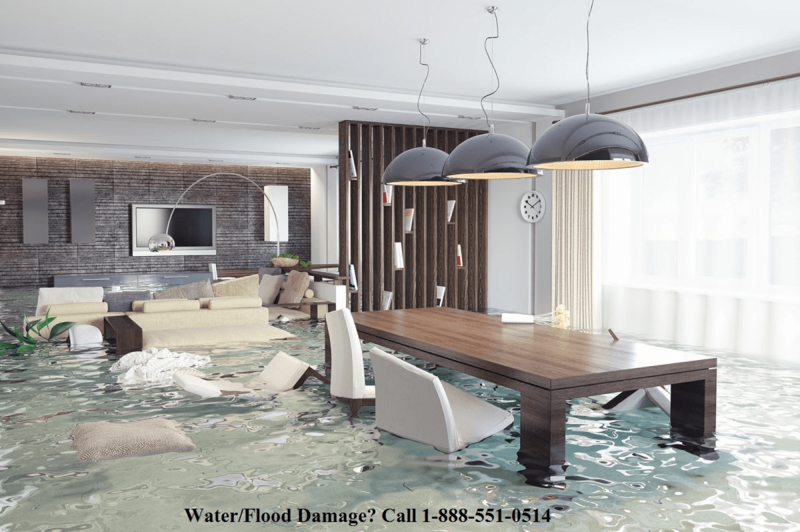 Water Damage Ottawa is a certified and professional water damage restoration company. We have over 10 years of experience and are equipped with state-of-the-art equipment that focuses on identifying where the water or moisture is, effectively extracting the water, cleaning the water damage and restoring your home back to pre-disaster conditions. Our team of experts are ready to be dispatched for all emergency water damages 24 hours a day, 7 days a week and guarantee to be onsite within 45 minutes. Book your free water damage inspection today by contacting us at 1-888-551-0514.